After several months of being between homes and jobs, I have finally started to get back into some semblance of a routine. I’ve been at my new job a couple of weeks now and seeing as I already know the area quite well it’s easy to get settled in. Torbay council have secured funding and a site to build a velodrome for the south west. The first step towards this aim has been the creation of a purpose-built circuit which will provide a great location for racing, training and the development of our sport. 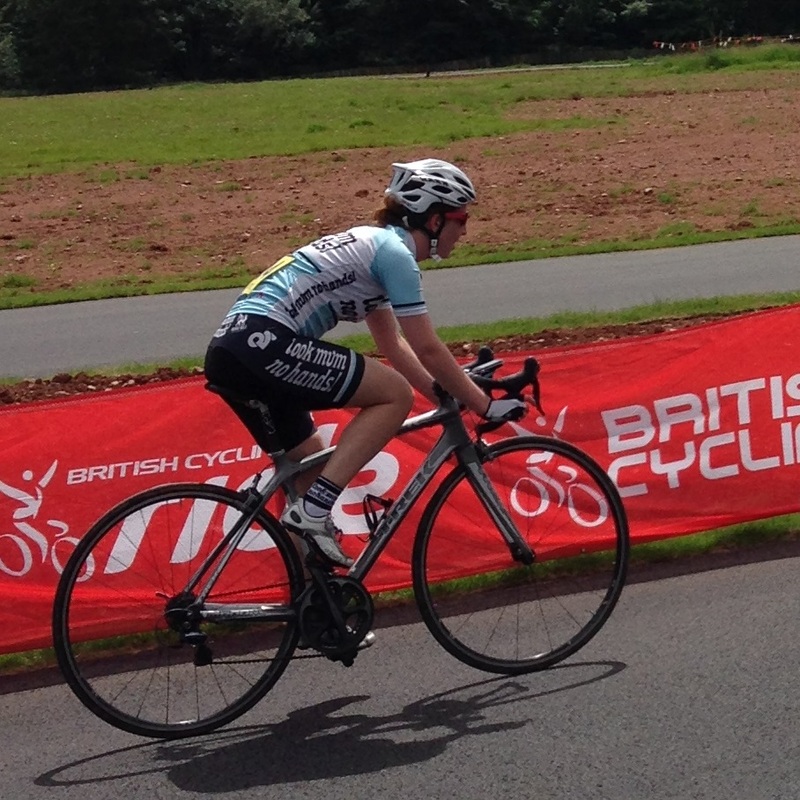 Today saw the first official racing with the Torbay Festival of Cycling. There was a selection of non-competitive rides, go-races and races on the track along with a good assortment of local businesses with stands to entertain the bystanders. The women’s race was in the early afternoon. Although our numbers were not high it still proved to be a great racing experience. Initially staying together, Mary and Sydnie did most of the work on the front with me hiding at the back, unsure of my fitness. Midway through Mary decided enough was enough and went out on a strong attack. Sydnie and I were too slow to respond and despite a concerted effort to catch her we spent the remainder of the race working together until the final laps. Laura managed to respond to Mary’s attack and followed behind her. As Sydnie and I came into the final few laps it started to become critical as to who was doing the most work on the windy stretches. On the final lap I decided to make my move quite early and it nearly worked. Unfortunately my cornering technique has got a bit rusty and Sydnie was able to make up vital space on me, coming past me just before the line. I found the race exhilarating and enjoyable; I had to think tactically during the race to ensure survival and then at the end had an all-out sprint for third place.